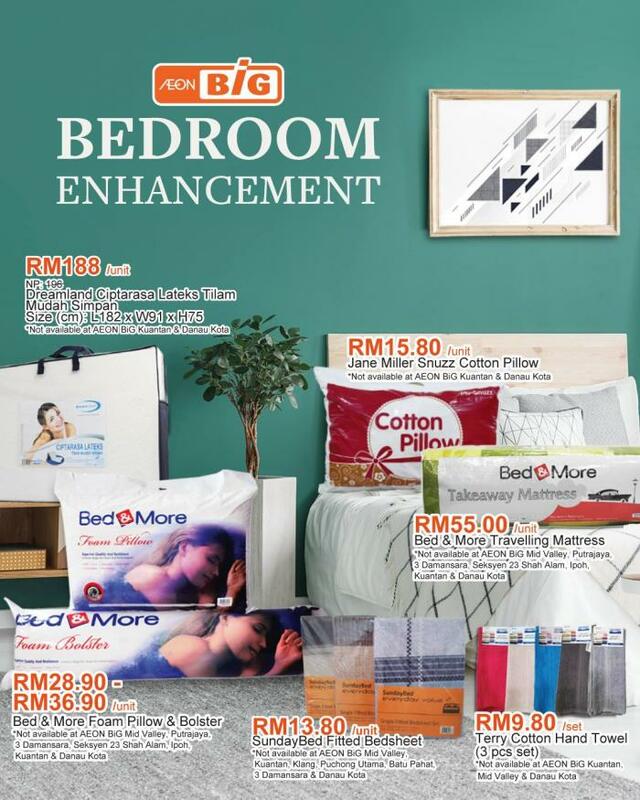 AEON BiG Bedroom Enhancement Promotion valid until 28 February 2019. Refresh your bedroom with a change of bedding and linen. Whether it's mattress, pillow, bolster or bed sheets, get them all at a discount at AEON BiG, from now until 28th Feb.